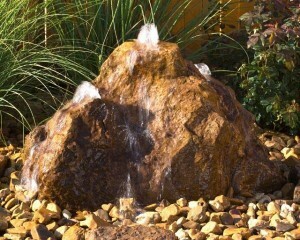 Water Features - Legends Landscape Supply Inc. Nothing is more serene than the sound of tricking water. Our calming bubbling rocks look natural, and are extremely simple to install. Preassembled kits can be delivered or pickup and installed in an afternoon. They look gorgeous and sound great, and are extremely low maintenance. 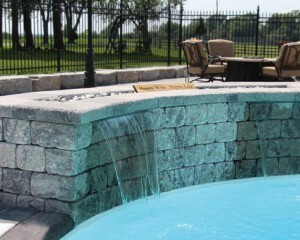 Choose from waterfall kits that will give you a real looking cascade with minimal installation effort. Our kits are prepackaged and have predetermined volumes and height suggestions. Take the thinking out of waterfalls, and order a package with all items to make the water recycle. Select from gorgeous statues and figures, some decorative, and some with waterfall functionality. 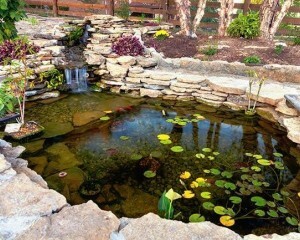 Keep your water sparkling and pristine with a quality pond agitation system. Particularly for large or deep ponds, these systems will prevent the odor and murkiness of stagnant water. 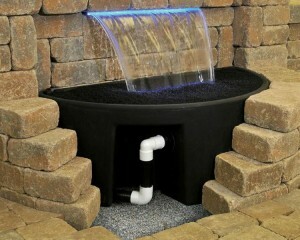 Do-it-yourselfers can rely on our extensive experience installing landscape water features to guide them. Learn more about our free landscape coaching.